carhirefaroairport.com are a UK-based car rental comparison website specialising in car hire in the Algarve region of Portugal. They compare car rental quotes from many of the leading vehicle rental suppliers in the Algarve, and let you choose the best deal! Life Cooler is a project addressed to foreign visitors, produced by the same team as Lifecooler.pt the leading tourism and leisure portal in Portugal. Go Oporto Sightseeing information, accommodation, restaurant and nightlife guide. Lisbon Lux Magazine is a blog focusing on Lisbon and Portugal. It’s a close-up of the best in local culture, art, and architecture, in in-depth or photographic reports. Come to Portugal Your gateway to Portugal and the Algarve. Lots of useful information! Visiting the Algarve? This website is a mine of useful information. Everything fun in the Algarve for kids! Provides quality boat charters for the whole Algarve. 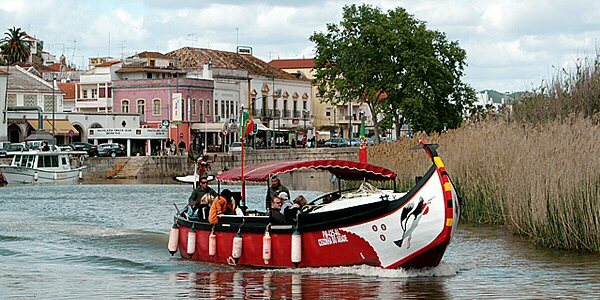 Take a River Trip to Silves up the river Arcade from Portimão through unspoilt countryside to the historic town of Silves. Surfing is extremely popular in Portugal so why not check out these surf camps for something a little different! Do you love surfing or looking for different experience? Check out the Surf’inn Surf Camps network intended to develop and promote a set of surf and kite activities. Discover secrets of the Portuguese cuisine with Gosto Lagos. Classes are held three days a week (Tuesday, Thursday and Friday) at 11:00-14:30 in restaurant Barbosa in the historic center of Lagos, Western Algarve. Slow cooking with fresh and healthy ingredients, and step-by-step explanations of our chef. There are hundreds of amazing walks across Portugal including coastal paths and mountain tracks for hikers of all levels. The Society for the Study of Birds – SPEA is a nonprofit scientific association that promotes the study and conservation of birds in Portugal. If you would like to know more about the Bird Watching activities please visit their website for more information. Have you seen a brochure at the Visit Algarve site called “Algarve with events 2012 Guide” http://www.visitalgarve.pt/pressroom.file.php?fileID=130&file=folheto_pdf20062012%5B1%5D.pdf; lots of them already gone but still some for October to December. Thanks Fernanda that’s really useful, thank you!